Scientific Journals: Nature, Science, PNAS, PLoS One, Proceedings of the Royal Society, Bone, Acta Histochemica, Nature Communications, the Journal of Vertebrate Paleontology, Proteome Research, and others below in our chronological catalog, "the web's most complete list of dinosaur soft tissue discoveries," as published in many leading journals, according to a co-author of one of those papers. Biological Material Found: As of 2019, in fossils from dinosaur-layer and deeper strata, researchers have discovered flexible and transparent blood vessels, red blood cells, starch, many various proteins including beta-keratin, the microtubule building block tubulin, collagen, shell glycoprotein, chitin, the cytoskeleton components actin, tropomyosin, and the related motor protein myosin, and hemoglobin, bone maintenance osteocyte cells, pigment including melanosomes, DNA-related histone proteins, and powerful evidence for DNA including positive results from multiple double-helix tests. Dinosaur and Dinosaur-Layer Creatures: The dinosaurs and other Mesozoic creatures that have yielded their biological material are hadrosaur, titanosaur, ornithomimosaur [ostrich-like dinosaurs], mosasaur, [bird-like] Anchiornis huxleyi, [extinct bird] Avimaia schweitzerae, triceratops, Brachylophosaurus canadensis, Lufengosaurs, T. rex, and Archaeopteryx. * David Rives on Soft Tissue: RSR friend David Rives explains the observational science that falsifies the possibility that these specimens can be millions of years old. * Dinosaur-strata tissue from "70-million year old" Mosasaur: As below, and in this peer-reviewed report by researchers including from Lund University in Sweden and Southern Methodist University in Dallas, scientists confirm another biological tissue discovery using sophisticated techniques to rule out modern contamination, bio-film, etc., concluding that original biological collagen exists in a small bone from an extinct marine reptile called a mosasaur. Yet according to a report in Science Magazine as it relates to the discoveries of dinosaur tissue, scientists calculate the maximum survival time of collagen not in millions but in thousands of years. * More Soft Dinosaur Tissue, Now from an "80 Million" Year Old Hadrosaur: Consistent with the expectations of biblical creationists, according to Nat'l Geographic, there's yet another discovery of soft tissue in a dinosaur, this time, a hadrosaur, with soft blood vessels, connective tissue, and blood cell protein amino acid chains partially sequenced at Harvard University. This allegedly 80-million-year-old non-fossilized duck-billed dinosaur tissue was discovered by a team led by researchers at North Carolina State University. Harvard, et al., wanted to get some soft dinosaur tissue so they put together a team and just went out and found some. Consider all the potential soft tissue, and perhaps even DNA, lost to humanity because of secular universities ignoring previous claims by young-earth creationists due to the false evolutionary timescale which so biased paleontologists that they would never even look for non-decomposed original biological tissue inside of dinosaur bones. 4) repeat, as PZ Myers did when criticizing Real Science Radio, the repeatedly debunked claims that these are not dinosaur tissue but bacterial biofilm contamination. 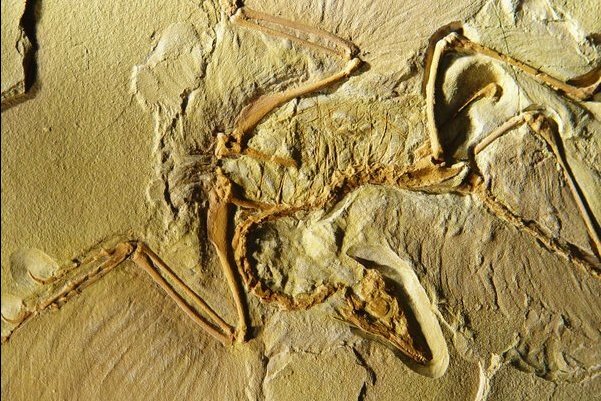 Now, as cited below, in the Proceedings of the National Academy of Sciences reports the discovery of various types of original biological material in archeopteryx feathers and bones that allegedly has survived for 150 million years. and its stunning prequel, Evolution, the Grand Experiment! * Carbon-14 Found Everywhere It's Not Supposed To Be (even in dinosaur fossils): C-14 decays in only thousands of years and therefore cannot last for millions. Thus evolutionists did not expect to find C-14 EVERYWHERE it shouldn't be if the earth were old (Answers, 2011). Carbon-14 is found in coal, oil, limestone, fossil wood, graphite, natural gas, marble, dinosaur fossils, and even in supposedly billion-year-old diamonds! A secondary assumption by old-earth scientists proposed that the C-14 in diamonds (coal, etc.) must have come from N-13 (or C-13, etc.) and neutron capture. Calculations can falsify this claim as Dr. Jonathan Sarfati argues, for scarce crustal radioactivity could explain less than one 10,000th of the C-14 in diamonds, and similarly, there would have to be thousands of times more uranium, thorium, etc. throughout the earth's crust everywhere that these globally dispersed materials are found.) 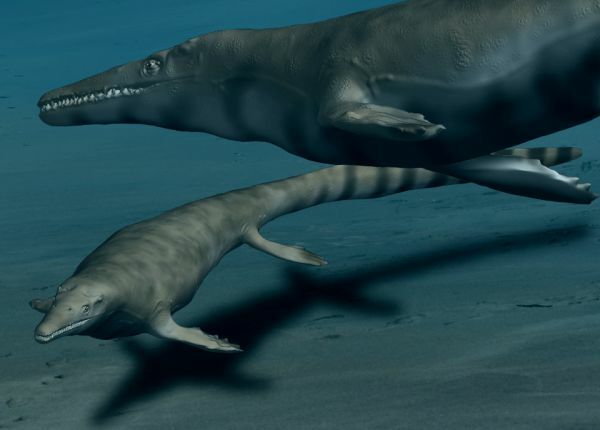 Published findings also have shown that the Mosasaur (below) not only has original biological material (i.e., not contamination), but that it also contains five percent modern carbon. Radiocarbon also exists even in supposedly million-year-old two-mile deep natural gas wells (CRSQ Fall 2007): "Once again, fossil gas is not carbon-14 dead. Thus, the age of the gases is on the order of thousands, not millions of years.” See RSR 3-28-08. 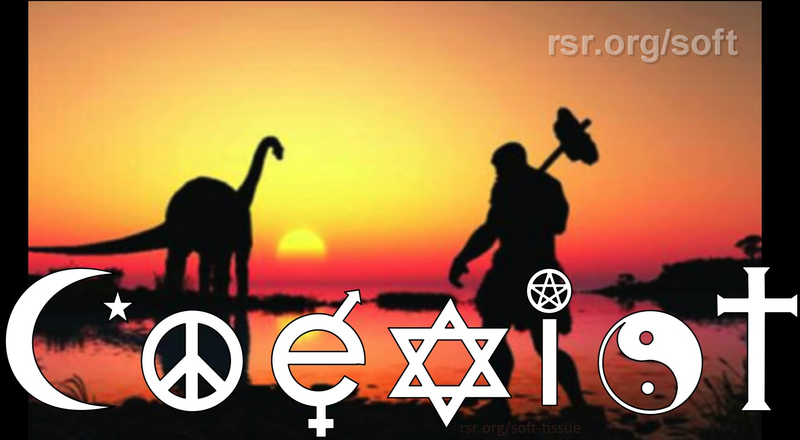 See more at RSR's List of Not So Old Things and in Round Four of our debate with AronRa. C-14 in specimens supposedly millions or a billion years old is so ubiquitous that it is longer an anomaly. And while old-earthers had hoped they could attribute it to contamination, Dr. John Baumgardner, of Los Alamos National Labs has documented in Dec, 2010 Creation Matters that C-14 exists even in the hardest naturally-occurring, contamination-resistant substance on earth, within diamonds. The earth is young. - Carbon 14 in a Mosasaur Bone: The 2011 peer-reviewed PLoS One paper excerpted below reported significant 14C measured in an allegedly 80-million year old dinosaur-layer fossil. However, they interpreted it in a manner inconsistent with the primary finding of their paper, claiming that the 14C must be from contamination. This runs somewhat counter to their conclusion that the biological material in the small bone IS NOT from bacterial or other contamination. If the carbon 14 were from contamination, such a condition would make the claim of survival of allegedly 80-million year old biological material even more obviously impossible. - 14C in 10 Dinosaurs Reported at 2012 AGU Conference: Real Science Radio interviewed a scientist returning from the American Geophysical Union's conference in Singapore where his international team presented results from five respected laboratories documenting significant quantities of Carbon 14 in bones from ten dinosaurs excavated from Alaska, Europe, Texas, Montana, and China's Gobi Desert. Radioactivity tests helped to discount neutron capture as a source for the modern carbon. And see also the reasons why contamination is not a valid explanation. - Some Dino 14C from Contamination: The PLoS One 2008 study that had found bacterial biofilm carbon dated that specimen and found so much modern carbon, in excess of 1950 quantities, that it was rightly attributed to contamination. - Mary Schweitzer 14C Rumor: A spring 2012 rumor has it that Mary Schweitzer has carbon dated soft tissue dinosaur specimens but has not released the results. Of course she may interpret the results as misleading or insignificant but let's hope and pray that she makes the data public. * Historic DNA Discovery: Dr. Mary Schweitzer has published her 2013 discovery in the journal Bone, documenting the presence of four proteins in dinosaur fossils and the presence of dinosaur DNA (see below and Dr. Jonathan Sarfati's analysis at creation.com). * Schweitzer Claims Iron Preserves Dino Cells: In a paper published in the Proceedings of the Royal Society, Mary Schweitzer claims that biological iron can preserve soft tissue for millions of years. In the aftermath, careful observation suggests that the entire scientific community has, without demonstrating any healthy scientific scepticism whatsoever, accepted Schweitzer's claim without question and her extrapolation from a two-year experiment soaking chicken in hemoglobin to the adamant insistence that therefore dino and other soft tissue can last 100+ million years buried in rock. How much hemoglobin do you think the world's (allegedly) 1.88 billion-year-old chert is submerged in, so that biological iron can preserve its unicellular proteinaceous material? How much heme do you think has the original biological material in Archaeopteryx feathers has been soaking in? And how about the unracemized (i.e., mostly left-handed) amino acids in dino eggshells? How can Mary Schweitzer's heme concentrated from broken red blood cells explain preserving soft tissue in all the places that such a preparation could never reach? And how could heme protect protein sequences from 1.9 billion years worth of radioactive decay and from the expansion and contraction of relentless underground temperature cycles? Gullibility is not a scientific virtue. So another of our many RSR scientific predictions states that Schweitzer will be widely shown to be wrong for these and many more reasons. For example, of the typical decomposition factors -- thermal vibration of atoms, hydrolysis, chemotropism, microbes, cyclical temperatures, friction, oxidation, autolysis, and radioactive decay -- iron works miracles for none of these and is irrelevant to a number of them. * Allegedly Oldest Dinosaur Soft Tissue Yet: In 2013, Nature published the discovery of original biological material in the supposedly oldest dinosaurs yet (see below), allegedly 190 million-year-old sauropod embryos! Also produced that year, a preliminary report documents the extant skin of a hadrosaur by paleontologist Phill Bell working in Canada with physicist Mauricio Barbi, which not surprisingly may preserve original protein. And in July, the journal Acta Histochemica reports (see below also) on extraordinarily well preserved soft tissue, from a triceratops horn. Here at Real Science Radio (at the dinosaursofttissue.com page that you're reading right now), we scooped this journal by reporting on this find a year earlier! And of course, when they lose the dinosaurs, they lose it all. For the secularists have staked so much on their claim that dinosaurs died out millions of years ago. For as RSR listener Paul Grewe of Eagle Colorado says, "Dinosaur soft tissue settles the issue." 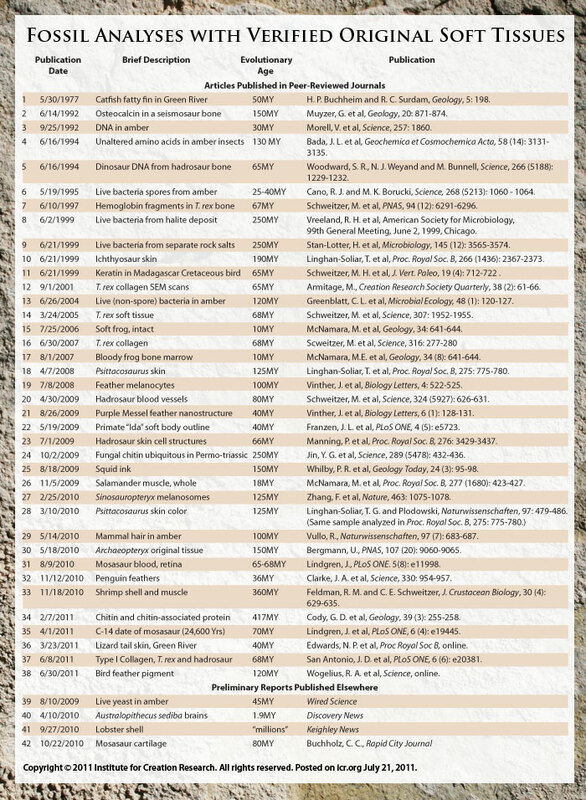 Comprehensively summarizing twenty years of journal research (and more), as one of the published authors below has stated, this single web page presents the world's most complete catalog of peer-reviewed dinosaur soft-tissue discoveries. 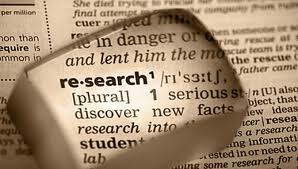 This RSR List can save you 100 hours of research with links to all papers and summary excerpts already collected for you! "Horner suspects the bones are thick enough to protect their internal cellular structure--and perhaps their genetic material--from water and oxygen..."
But are the bones thick enough to protect such complex molecules from minor temperature variations and the randomizing effects of molecular motion? 1993 - Journal of the American Medical Association: Hunting Dino DNA--Mary Schweitzer puts T rex bones under the microscope by famed JAMA journalist Dennis L. Breo on the work that has spawned scores of peer-reviewed papers. 1995 - Science: Detecting dinosaur DNA by Hedges, S. Blair, Dept. of Biology, Institute Molecular Evolutionary Genetics, Penn. State University; Schweitzer, Mary H., Montana State University. All these journals published reports claiming that recovered DNA segments have survived for millions of years (despite extensive previous evidence of its rapid deterioration). Fast forward then to the year 2013 and not only have dinosaurian still-soft original biological structures and proteins been confirmed by sequencing, immunological experiments, etc., but also, dinosaur DNA has now been identified! 1997 - Journal of Vertebrate Paleontology, Preservation of Biomolecules in Cancellous Bone of Tyrannosaurus rex by Schweitzer, Horner [and three other authors from Los Alamos National Labs; and Montana State University]. …analysis of extracts from the bone tissues revealed the presence of molecules with light absorbance maxima consistent with nucleic acids and peptides/proteins. Analyses of bone extracts for amino acid content yielded ratios similar to those found for modern ostrich and horse bone. … bony tissue samples from the T. rex suggests the presence of collagen type I remnants. 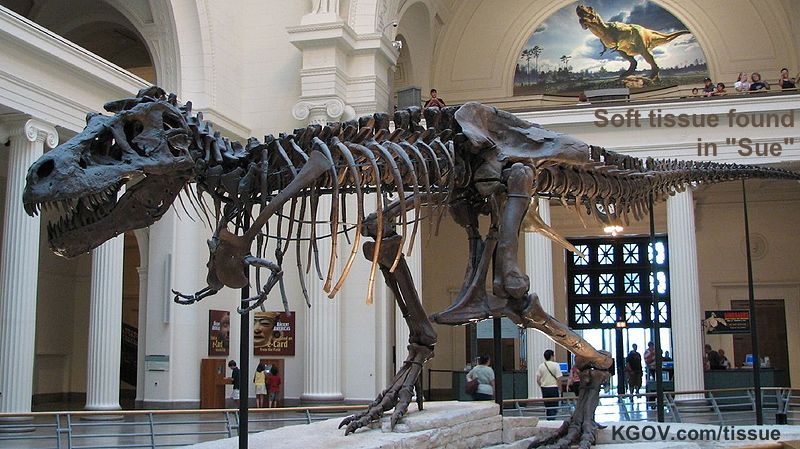 … … bony tissue samples from the T. rex suggests the presence of collagen type I remnants. Results indicate that the analyzed tissue contains numerous biomolecules. While some of the biomolecules are most likely contaminants, the probable presence of collagen type I suggests that some molecules of dinosaurian origin remain in these tissues. "Exceptionally preserved sauropod eggshells discovered in Upper Cretaceous… in… Argentina, contain skeletal remains and soft tissues of embryonic Titanosaurid dinosaurs. …mineralization may also have been rapid enough to retain fragments of original biomolecules in these specimens. To investigate preservation of biomolecular compounds in these well-preserved sauropod dinosaur eggshells, we applied multiple analytical techniques. Results demonstrate organic compounds and antigenic structures similar to those found in extant eggshells." Traces of protein have survived for more than 70 million years in dinosaur eggs from Argentina. They bear strong similarities to proteins from chicken eggs. … The eggs were laid by massive long-necked plant-eaters called titanosaurs. Buried by floods, the eggs fossilised unusually fast, preserving the soft tissues and tiny bones within. For atheists like AronRa, PZ Myers, at Talk Origins, and those at League of Reason who deny (or doubt) the existence of original biological material, this paper explains that researchers injected rabbits with these apparent dinosaur egg proteins. The animals developed antibodies similar to those they produce in experiments with similar modern protein. 2005 - Science, Soft-tissue vessels and cellular preservation in Tyrannosaurus rex by Schweitzer, Horner, et al. 2005 - Annual Meeting of the Society of Vertebrate Paleontology: Manipulating dinosaurian soft tissue: methods for handling soft tissues, vessels and cells in fossil specimens by North Carolina State's Mary Schweitzer and Jennifer Wittmeyer. "…soft tissues could be preserved in the fossil record, not just by replacement… but as intact structures retaining flexibility and resilience. …additional fossil material, including other tyrannosaurs [and] hadrosaurs… indicates that this is not an isolated phenomenon. The challenge of trying to manipulate, process and analyze vessels and cellular structures millions of years old is not a minor one. … We have tested a variety of methods for… extracting soft tissue and cellular structures… to characterize preservation at cellular and sub-cellular levels." 2005 - Langmuir: A Journal of the American Chemical Society: Preservation of bone collagen from the late Cretaceous period studied by immunological techniques and atomic force microscopy by R. Avci [and five other authors from MSU, NCSU, Argentina Universitad Nacional]. 2007 - Science: Protein sequences from mastodon and Tyrannosaurus rex revealed by mass spectrometry, J. Asara [of Beth Israel Med. Center, Boston and today at Harvard]; Schweitzer, Mary H.
We used mass spectrometry to obtain protein sequences from bones of a… 68-million-year-old dinosaur (Tyrannosaurus rex). The presence of T. rex sequences indicates that their peptide bonds were remarkably stable. This paper generated much controversy, as colorfully reported by Wired, which concludes, "Asara and Schweitzer, in other words, have done just what the critics asked. They've built a rigorous scientific case for the survival of 68 million-year-old proteins from a beast that animates children's imaginations." For this next reference, remember that osteocytes are bone cells that live in the organism itself, and filipodia are tentacles that extend from various types of cells when migrating. 2007 – Proceedings of the Royal Society B: Biological Sciences: Soft tissue and cellular preservation in vertebrate skeletal elements from the Cretaceous to the present by Schweitzer, Wittmeyer, Horner. 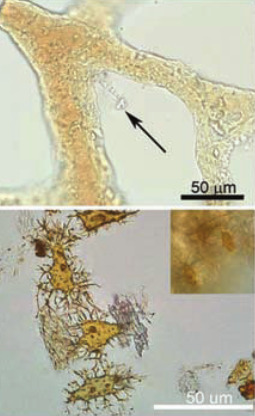 Soft tissues and cell-like microstructures derived from skeletal elements of a well-preserved Tyrannosaurus rex [include] transparent, hollow and pliable blood vessels; intravascular material, including in some cases, structures morphologically reminiscent of vertebrate red blood cells; and osteocytes with intracellular contents and flexible filipodia… in bone from specimens spanning multiple geological time periods [to 70+ mya] and varied depositional environments. … the surprising presence of still-soft elements in fossil bone… suggest that… soft tissue elements may be more commonly preserved… than previously thought. These naturally-pigmented T. rex images depict tissue containing osteocytes and interconnected, flexible, transparent vessels similar to modern vessels. …explain the detailed preservation of still-soft, transparent, hollow and flexible tissues and cells over geological time, given that natural processes such as decay and degradation… and chemical and/or enzymatic degradation (Lindahl 1993; Riley & Collins 1994; Collins, et al. 2000, 2002) act in concert to rapidly degrade both the molecules and the tissues they comprise. And "structures observed in most fossil specimens are similar in morphology, size, location and content to erythrocytes [red blood cells] observed in related extant [still living] taxa [group of animals]." "Small regions of soft tissue were recovered," and "Osteocytes with long filipodia and distinct, well-defined 'nuclei' were restricted to pliable regions of matrix…"
Hollow, transparent and flexible vessels [which] were slightly pigmented" and its "Osteocytes… had pigmented elongate cell bodies, some with internal contents and short, stubby filipodia. "As arguably the most labile and easily degraded of the structures we observed, the presence of soft vessels is enigmatic. They are neither biomineralized nor have any obvious inherent characteristics that would favour preservation…"
"The possibility that microbes may have invaded bone and vascular channels after death, secreting extracellular polymeric substances (EPS) that subsequently mineralized, was also considered. If deposition of mineral upon microbial biofilm allowed retention of flexibility in one case, it is feasible to propose that the same process contributed to the preservation of the original vessel walls." And back in 2007, the authors write that while they remain open to further pending analysis of the osteocytes, they "consider these cell-like structures to be remains of original cells." Then a few months later the journal Science published a peer-reviewed paper from a team of scientists including from Harvard and the University of Chicago marking a significant development in the history of this breakthrough field. For this excerpt, remember that the word endogenous means originating within, of course, as opposed to an external contamination. "…it has been hypothesized that original molecules will be either lost or altered to the point of nonrecognition over relatively short time spans (well under a million years) (1–7). However, the discovery of intact structures retaining original transparency, flexibility, and other characteristics in specimens dating at least to the Cretaceous (8, 9) [65+ mya] suggested that, under certain conditions, remnant organic constituents may persist across geological time." -Science 2007, Schweitzer, et al. …collagen [type] I has unique characteristics… making validation of its presence relatively straightforward. This finding suggests that the bone mineral is virtually unchanged from the living state and has undergone little if any alteration. … the elasticity of dinosaur tissues was similar to that of demineralized extant bone. Immunohistochemistry performed on sediments was negative for binding. In situ TOF-SIMS [ion mass spectroscopy] analyses were performed to unambiguously detect amino acid residues consistent with the presence of protein in demineralized MOR 1125 [T. rex] tissues. Sandstones entombing the dinosaur, subjected to TOF-SIMS as a control, showed little or no evidence for these amino acids. … that molecular fragments of original proteins are preserved in the mineralized matrix of bony elements of MOR 1125 is supported by peptide sequences recovered from dinosaur extracts, some of which align uniquely with chicken collagen… The amount of protein or protein-like components… was ~0.62% for cortical bone and 1.3% for medullary bone. Additionally, experiments have been conducted independently in at least three different labs and by numerous investigators, and the results strongly support the endogeneity [internal origin] of collagen-like protein molecules. -Science 2007, Schweitzer, et al. -Science 2007, Schweitzer, et al. 2007 - Expert Reviews of Proteomics: Will current technologies enable dinosaur proteomics, by Gary B. Smejkal [then associate professor molecular biology, University of New Hampshire]; Schweitzer. "The preservation of proteinaceous materials over millions of years has caused paleobiologists to reconsider current models of fossilization. … Conventional wisdom held that, under normal circumstances, decomposition occurs so rapidly and completely that, after a relatively short period of time, no molecular fragments (let alone cells or tissues) would remain. However, the observation of these components in multiple specimens of geological age, supported by amino acid sequence data from collagen preserved in the skeletal elements of T. rex, provide evidence for molecular preservation over millions of years." Because actual dinosaur soft-tissue protein biological material was being studied, a paleontologist (Schweitzer) teamed up with an associate professor of biochemistry and molecular biology from the University of New Hampshire (now the visiting scientist, genetics, at the Harvard School of Public Health) to publish in the peer-reviewed ERP which reports "from the field of proteomics [proteins] to advance scientific understanding of the many varied roles protein expression plays in human health and disease." Now to the popular anti-soft-tissue biofilm paper (which PZ Myers still thinks is the latest word on the topic). The authors examined fossils from 15 genera and found no original soft tissue but only bacterial biofilm contamination. Back in 2008 of course these authors were unaware of all later soft-tissue confirmations, but unreasonably even for then they glossed over the previously published immunological and protein sequence findings. 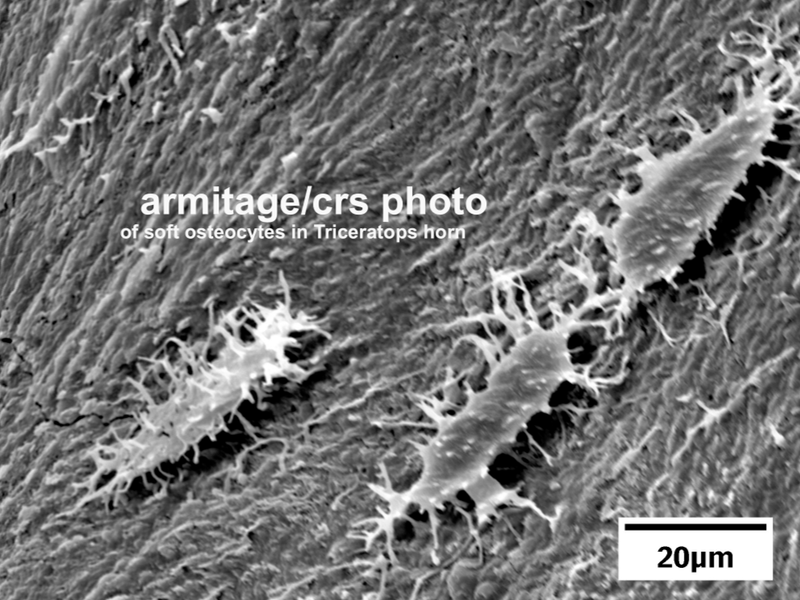 2008 – Public Library of Science - PLoS One: Dinosaurian Soft Tissues Interpreted as Bacterial Biofilms: by T. Kaye (of the Burke Museum of Natural History), et al. bacterial biofilms… mimic real blood vessels… This explanation... represents a plausible alternative hypothesis. ...discovery of soft, pliable tissues recovered from... Tyrannosaur [involve] preserved biomolecules [of] preserved dinosaurian soft tissues [which if true would hold] the promise of biologic investigations of extinct animals. The authors found bacterial biofilm and other structures that visually looked similar superficially to the structures found in the soft tissue findings. And their infrared investigation suggested that their dinosaur fossils were more similar to biofilm than to modern collagen. The primary helpful effect of their results was to add increased emphasis on the effort to exclude bacterial contamination from studies of dinosaur tissue. ...demineralized specimens... displayed small red spheres clustered in the tubular structures (Fig. 4A). Discovery of these spheres in an ammonite [extinct mollusk] suture [a rigid joint] indicated they had no relationship to iron derived from blood. … The second structure category consisted of soft, pliable, branching tubules with morphology closely resembling blood vessels. However, the apparent biological heme from Jack Horner's T. rex was injected into lab rats and they produced antibodies for hemoglobin, something they would not do if the iron were not biological and only the "iron-oxygen spheres" reported in this biofilm paper. This is why Schweitzer was working with immunologists. These Contrarian Authors Losing Defenders: Following the soft tissue developments carefully, it appears to us here at Real Science Radio that the frequency is declining of scientists linking to Kaye's 2008 paper as evidence against actual dinosaur soft tissue. Even Michael Buckley, for example, who in 2008 in the journal Science strongly opposed Schweitzer's discovery, as of 2011 has become an advocate for the validity of the soft tissue finds. Still, it is wrong to lump the above contrarian authors in with the many soft-tissue deniers including AronRa, Talk Origins, and League of Reason, who say things like Nigel Deplege. In September 2011, Deplege called us here at RSR "delusional", while writing that, "...soft dinosaur tissue has never been discovered or reported. What you perhaps refer to is the discovery of fossilised impression of soft tissue structures." This typifies Darwinist science deniers and soft-tissue deniers whom creationists encounter on forums everywhere, as shown by the examples at rsr.org/soft-tissue-doubters, including PZ Myers still in 2013. Recent discoveries [Genome-based identification… of collagen-related… motifs in bacterial… proteins] of collagen-like proteins in bacteria and viruses  add to the problem of unambiguous identification of vertebrate biomolecules." Apparently, many atheists believe that this (and perhaps the Salzberg 2011 unfinished paper) has refuted all the soft-tissue finds, protein sequencing, immunological tests, etc., from specimens extracted from various dinosaurs (and all the other reported dinosaur-era soft-tissue finds). But a dozen institutions both before and after this 2008 paper, disagree and continue to publish their confirmations. 2009 - Science: Biomolecular Characterization and Protein Sequences of the Campanian Hadrosaur B. canadensis by Schweitzer in a group of sixteen authors from North Carolina State, Harvard University, Montana State, Boston's Beth Israel Deaconess Medical Center, Dana Farbar Cancer Institute, London's Matrix Science Ltd., Bozeman's Museum of the Rockies, Harvard-MIT Division of Health Sciences and Technology, and Harvard Medical School. One wonders, however, into which clade whales and bats would be put in by the phylogenetic analyses of their echolocation sequences (see Li, et al., 2010, Current Biology). 2012 Hadrosaur Teeth: Duck-bill dinosaurs actually had "as many as 1,400 teeth" which were "more complex than those of cows, horses, and other well-known modern grazers." Teeth made of a mix of various tissue types can better fit an ecological niche as the different kinds of tooth tissue wear down at different rates, providing a constantly rough chewing surface optimized for grinding various kinds of food. The team from the American Museum of Natural History and FSU found "that hadrosaurids actually had six different types of dental tissues -- four more than reptiles and two more than expert mammal grinders..." Allegedly, according to a paper in Science, this multiple-tissue grinding design "evolved repeatedly in mammals (such as horses, bison, and elephants)" and "a similar innovation occurred much earlier... within the duck-billed dinosaur group... hadrosaurids broke from the primitive reptilian archetype and evolved a six-tissue dental composition that is among the most sophisticated known." Florida State University biology professor Gregory Erickson said, "We were stunned to find that the mechanical properties of the teeth were preserved after 70 million years of fossilization... if you put these teeth back into a living dinosaur they would function perfectly." 2009 - Proceedings of the Royal Society B: Biological Sciences: Mineralized soft-tissue structure and chemistry in a mummified hadrosaur from the Hell Creek Formation, North Dakota (USA) by Manning, et al. [a non-Schweitzer group of 17 authors from the University of Manchester, UK, Manchester Museum, University of Liverpool, Manchester Metropolitan University, Yale University, and the University of York]. 2010 - Proceedings of the National Academy of Sciences: Archaeopteryx feathers and bone chemistry fully revealed via synchrotron imaging by Bergmann, et al. [a non-Schweitzer group of eight authors from Stanford Nat'l Accelerator Laboratory, the Middle Waters Institute, University of Manchester, University of Pennsylvania, and the Black Hills Institute]. Most striking is that, in addition to the bone material, the chemical remains of the rachises (shafts) from the flight feathers are now revealed: The P [phosphorus] distribution is clearly controlled by both bone as well as soft tissue remnant from the original organism. Although phosphatized muscle tissue has been re-ported from the Solnhofen (21), the phosphorus and sulfur levels responsible for the rachis images presented here do not require the addition of P or S from elsewhere. …iron zoning in the feathers... is probably NOT an original feature of the organism. [However] the evidence strongly implies that the rachises [feather shafts] are at least in part the chemical remains of the original organism. …the high zinc levels in the Archaeopteryx bone have been inherited from the original organism. …phosphorous point levels measured from the [feather shafts] ... strongly supporting the inference that part of the feather chemistry is preserved. Zinc apparently was present in appreciable concentrations in the original bone (as in many extant organ-isms) and has been well sequestered within the bone over 150 million years of burial. Other work (31) thus supports our most striking result: that elevated Zn levels associated with the skull and other bones have persisted over geological time and most likely, along with phosphorous and sulfur, are remnants of the original bone chemistry. 2010 - PLoS One: Influence of microbial biofilms on the preservation of primary soft tissue in fossil and extant archosaurs by Peterson, et al. [a non-Schweitzer group of three authors from the University of Wisconsin-Oshkosh and Northern Illinois University]. Preservation of GROSS soft tissues is extremely rare, but recent studies have suggested that primary soft tissues and biomolecules are more commonly preserved within preserved bones than had been presumed. Some of these claims have been challenged... suggesting that some of the structures are microbial artifacts, not primary soft tissues. The identification of biomolecules in fossil vertebrate extracts from a specimen of Brachylophosaurus canadensis [Hadrosaur] has shown the interpretation of preserved organic remains as microbial biofilm to be highly unlikely. The identification of biomolecules with vertebrate signatures[2,3] in the extracts from fossil vertebrates provides compelling evidence countering the argument that these structures are simply microbial biofilm . Phosphatized soft-tissues in the basal ornithimimosaur [sic, bird-mimic ostrich-like dinosaurs], Pelecanimimus polydon, have also been described in the form of muscle and skin . The results of this study strongly suggest that microorganisms play a role in the preservation of primary soft- tissues in vertebrate organisms, without extensive secondary mineralization. … biofilms may directly enhance the preservation of vertebrate primary soft-tissues. ...exquisite preservation of pliable soft-tissues may be related to a microbial masonry process whereby the formation of microbial biofilms wall off internal surfaces of bones during early taphonomic stages. A great paper, but the authors failed to report something that should be routine, the carbon 14 date of their specimens and the percentage of right and left-handedness of the amino acids. * Mostly Left-Handed Amino Acids in Amber, Shale, Chert, Titanosaur & T. rex Eggshells (and possibly in Hadrosaur skin): Like hands and hockey sticks, some molecules are right or left handed. Life uses 100% left-handed amino acids to build proteins (and purely right-handed sugars to build DNA). 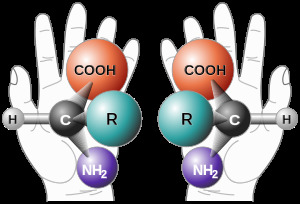 Amino acids synthesized in the lab appear in equal proportions of right- and left-handed acids and as the laws of chemistry predict and empirical evidence confirms, after death, amino acids racemize back to a 50-50 mixture of right- and left-handedness. England's Royal Society published a time range for this physical process which, "produces totally racemized amino acids in 10(5)-10(6) [100,000 to 1,000,000] years in most environments on the Earth." So researchers have even begun dating whale carcasses by the spherical growth patterns in the eye by measuring the percent of left-handed acids in each lens layer. However, a paper published in a Royal Society biology journal reports regarding T. rex specimens obtained from the University of California at Berkley that, "in the dinosaur eggshells... all of the detected amino acids have low D:L ratios..." (emphasis added), i.e., they are not millions of years old. (See also the 2009 Proc. Roy. Soc. B paper that may indicate amino acids not fully racemized in hadrosaur skin.) Yet, even more unexpected for the evolutionist, allegedly far older insects in amber also yield mostly left-handed amino acids! This led evolutionist researchers, shockingly, to suggest a half-life of a billion years for racemization in amber! Whereas almost all of the research on this dinosaur soft tissue webpage is reported from secular sources, we encourage you to see this creationist report of primarily left-handed amino acids in Wyoming oil shale (in the Green River region) and also in the supposedly three-billion year old Fig Tree Chert (flint-like sedimentary rock that can contain small fossils) in South Africa. So just as scientists have begun reporting on the carbon dating of dinosaur soft tissue, and as they've found unracemized amino acids in Pleistocene egg shells and in allegedly 70 million year old titanosaur eggshells from France, RSR joins with the Royal Academy (although for different reasons) in calling for continued biomolecule research on dinosaur fossils including in determining their degree of left handedness. We also call for Carbon 14 dating of some of our "oldest" amber specimens. And finally, while even brief heating can speed the racemization process, nonetheless, RSR predicts much more left-handedness will be found in supposedly ancient dinosaur tissue. 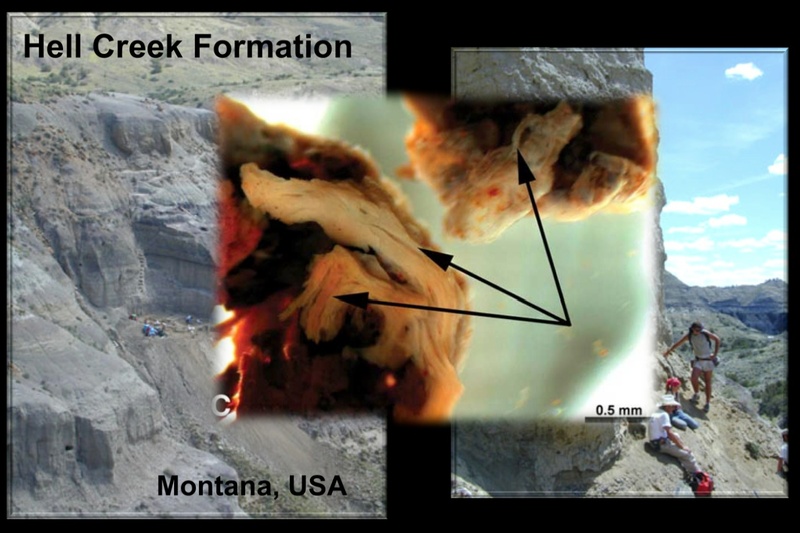 2011 - PLoS One: Microspectroscopic evidence of Cretaceous bone proteins by Lindgren, et al. [a non-Schweitzer group of twelve authors from Lund University, Sweden; Southern Methodist University; and Midwestern University]. 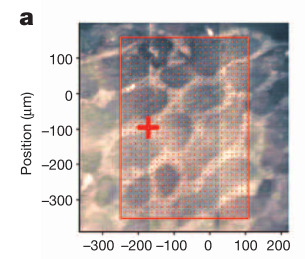 …direct spectroscopic characterization of isolated fibrous bone tissues, a crucial test of hypotheses of biomolecular preservation over deep time, [previously] has not been performed. Here, we demonstrate that endogenous [originating from the mosasaur itself] proteinaceous [pertaining to protein, biological] molecules are retained in a humerus from a Late Cretaceous mosasaur (an extinct giant marine lizard). In situ immunofluorescence of demineralized bone extracts shows reactivity to antibodies raised against type I collagen, and amino acid analyses of soluble proteins extracted from the bone exhibit a composition indicative of structural proteins or their breakdown products. These data are corroborated by synchrotron radiation-based infrared microspectroscopic studies demonstrating that amino acid containing matter is located in bone matrix fibrils that express imprints of the characteristic 67 nm D-periodicity typical of collagen. Moreover, the fibrils differ significantly in spectral signature from those of potential modern bacterial contaminants, such as biofilms and collagen-like proteins. Thus, the preservation of primary soft tissues and biomolecules is not limited to large-sized bones buried in fluvial sandstone environments, but also occurs in relatively small-sized skeletal elements deposited in marine sediments. ...to facilitate comparisons with a relevant modern reference, bone tissue samples from an extant monitor lizard (LO 10298) were prepared in the same way as the mosasaur tissues. 2011 - PLoS One: Dinosaur Peptides Suggest Mechanisms of Protein Survival by San Antonio, Schweitzer, [and six other authors including from Orthovita, Inc.; University of Pennsylvania; NCSU; North Carolina Museum of Natural Sciences; Montana State University; the Illinois Institute of Technology; Harvard Medical School; University of Manchester; University of York; and MIT]. Type I collagen peptides were extracted and sequenced from ~68 million years old fossils of Tyrannosaurus rex... despite multiple lines of evidence to support the presence of collagen, including in situ antibody binding, the endogeneity of MOR 1125 peptides was disputed, and the sequences instead were suggested to arise from either microbial invasion , extant collagens introduced in laboratory experiments , or even statistical artifact . Collagen peptide sequences were subsequently derived from a second dinosaur, Brachylophosauraus canadensis (MOR 2598) , and included many of the earlier lines of supporting evidence as well as independent replication of data in multiple labs. Surprisingly, advances in collagen biology also support the authenticity of the fossil peptides. The molecular structure of collagen favors preservation. Our results add to the evidence provided by sequence data…, molecular phylogenetic analyses…, microstructure… and immunoreactivity to anti-collagen antibodies… that supports persistence of elements of native collagen fibril structure…"
2011 - Journal of Vertebrate Paleontology: (abstract only, paper still unavailable as of July 2016) DNA, Dinosaurs, and Metagenomics: A new tool for mass identification of DNA from fossil bone by Steven Salzberg, University of Maryland; Tom Kaye, Burke Museum; et al. Previous studies have focused on long-lasting proteins since it is generally accepted that DNA can not survive such time scales. Here metagenomics data is presented that identifies ALL the DNA in the sample giving proportionate rank of endogenous molecular species. 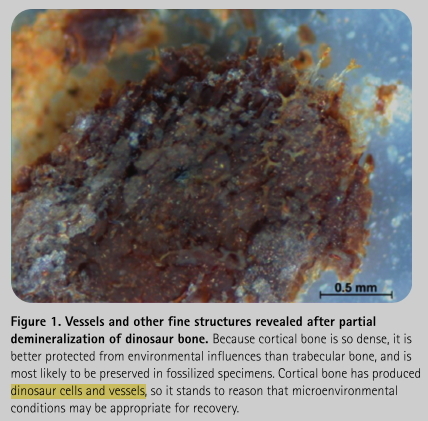 The sample was processed to isolate organic remnants from the intravascular cavities of the fossil's cortical bone, excluding possible contamination from sediments on the bone surface. DNA from various species of bacteria, plants, fungi, and chordates was detected in the bone and therefore longer lasting proteins from these species can be expected. Critically, avian molecules identified as modern bird DNA were found in the organic isolates [including chicken apparently; and an allegation, reasonably leveled since Schweitzer used ostrich material as a control, that she contaminated her specimen with ostrich DNA and hemoglobin.]. The presence of modern bird and other chordate DNA provide a large analytical obstacle to identifying possible endogenous molecules. 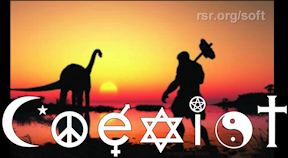 Replying to popular YouTube atheist AronRa in Real Science Radio's League of Reason Evolution Debate, Bob Enyart replied to Aron: "I reject this claim that dinosaur soft-tissue has not been identified. You attribute my conclusion to my creation bias, but I would offer as evidence the reasons presented above in peer-reviewed publications in PNAS, Science, PLoS One, Expert Reviews of Proteomics, Journal of Applied Genetics, Langmuir: A Journal of the American Chemical Society, the Proceedings of the Royal Society, and below, in the journal Nature. I also expect that the soft-tissue dinosaur claims will be fully vindicated because I believe what Jesus Christ said that, 'from the beginning of the creation, God 'made them male and female.' And I doubt also anti-dinosoaur-tissue claims because as you'll recall from above, the left-handedness of amino acids even beneath dinosaur layers, the 14C everywhere it wasn't expected, the evidence of rapid stratification, the unexpected genome discoveries, for example, from kangaroos, worms, the chimp Y chromosome, and sponges, which findings make the Salzberg and Kaye assessments here questionable." 2011 - Proceedings of the Royal Society B: Biological Sciences: Infrared mapping resolves soft tissue preservation in 50 million year-old reptile skin by Edwards, et al. [a non-Schweitzer group of eight authors from Manchester University, University of Pennsylvania, Black Hills Institute of Geological Research, and Stanford's National Accelerator Laboratory]. Mapped organic functional units within this approximately 50 Myr old [lizard] specimen from the Green River Formation (USA)... are most probably derived from the original beta keratin present in the skin... Maps and spectra from the fossil are directly comparable to extant reptile skin. 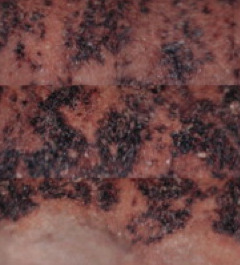 Furthermore, infrared results are corroborated by several additional quantitative methods... Taken together, all the analyses performed in this study strongly suggest that the fossilized reptile skin... is not a simple impression, mineralized replacement or an amorphous organic carbon film, but contains a partial remnant of the living organism's original chemistry, in this case derived from proteinaceous skin. 2012 - Nature: New evidence on the colour and nature of the isolated Archaeopteryx feather by Carney, et al. [a non-Schweitzer group of five authors from Brown University, University of Texas, University of Akron, and from Carl Zeiss in Germany]. Even this paper on something as delicate as Archaeopteryx feathers disproves the somewhat bizarre claim made for years by many evolutionists in America and over in Britain as for example on the League of Reason website (regarding the AronRa/Bob Enyart Evolution vs. Creation Debate) that scientists have never even claimed to have discovered actual original biological material. In the following excerpts, of course a biomarker is an indicator of a biological state. And organocopper is a compound in organic chemistry. And within organic chemistry is the specialty of biomolecular chemistry that looks for biomarkers which are indicators of biological processes. Archaeopteryx had black melanin in its feathers (darker at the tips) as determined by the distribution and the dimensions of its melanosomes which were measured at only a quarter of a millionth of a meter (250 nanometers) wide. We interpret the feather's dark trace to be a melanic organosulphur residue, based on the following. Second, a potential organocopper biomarker for melanin was previously detected in this specimen; this biomarker has also been correlated with the presence of melanosomes in three fossil bird taxa. We hypothesize that melanosome structures fossilize simply by virtue of being solid aggregations of melanins… resistant to degradation. Third, the dark trace is associated with sulphur, which may have derived from the sulphur-rich feather keratin and crosslinked with the melanin; this is consistent with the sulphurization mechanism responsible for high-fidelity organic preservation in the fossil record. 2013 - Bone: Molecular analyses of dinosaur osteocytes support the presence of endogenous molecules by Schweitzer [and three other authors from North Carolina State University, North Carolina State Museum of Natural Sciences, and Palo Alto Research Center]. NOW, research has strongly indicated T. rex and hadrosaur DNA! Also, four dinosaur proteins were identified including the cytoskeleton component actin and the microtubule building block tubulin. After providing powerful evidence for the finding of dinosaur DNA, the authors needed to deal with the apparent contradiction of the inability of DNA to last for 80 million years. Creationists often note the circular reasoning of evolutionists who date the strata by the fossil, and the fossil by the strata. With the following excerpt from this paper, Mary's group perfectly illustrates the circular reasoning that created and maintains the evolutionary time frame. A recent paper by Allentoft et al. (2012) [Proc. Royal Soc. B] hypothesizes a half-life for DNA of ~521 years in an optimal depositional environment, suggesting that DNA should be degraded to single bases by a little under 7 million years, even though they also state that "considerable sample-to-sample variance in DNA preservation could not be accounted for by geologic age". Their half-life estimate was based upon extrapolations of data taken from >150 relatively recent Holocene bones (less than 10,000 years old). Fossils older than this were not examined for DNA. All of our assays require at least 4 or more bases to generate reactivity... Therefore we suggest more rigorous testing of extrapolation models on actual fossil material from older specimens. [Related: When processed into papyri, the half-life of papyrus DNA is only 24 years.] The authors' old-age beliefs aside, as far as the data goes, this paper is a tour de force falsifying the dying claim that all these scientists have been confusing contamination for endogenous dinosaur soft tissue. 2013 - Nature: Embryology of Early Jurassic dinosaur from China with evidence of preserved organic remains by Reisz, et al. [a non-Schweitzer group of twelve authors from the Univ. of Toronto Mississauga, Ontario; Nat'l Universities in Taiwan: Central, Chung Hsing, and Cheng Kung; James Cook University, Queensland, Australia; Inst. of Vertebrate Paleontology, Beijing; Steinmann Inst. of Geology, Bonn, Germany; Nat'l Synchrotron Radiation Research Ctr, Taiwan; Lufeng & Chuxiong Prefectural Museums, Yunnan, China]. NOW, Allegedly 190 Million Year Old Biological Material! An inherent prediction of evolution is that the "older" the dinosaur fossil, the less likely that biological material will survive (due to even minor temperature variations and the randomizing effects of molecular motion). Conversely, the Real Science Radio hosts, Bob Enyart and Fred Williams, presume that the alleged age of the dinosaur-layer (and lower) fossils will have little bearing on the existence and condition of endogenous dinosaur biological material. Thus we are happy to present to you a finding from Nature, made while studying 200 disarticulated bones, including rib fragments, scapulae, and skull elements, of sauropod Lufengosaurus embryos. Previous reports of preserved dinosaur organic compounds, or 'dinosaurian soft tissues' have been controversial because it was difficult to rule out bacterial biofilms or some other form of contamination as a possible source of the organics. Our results clearly indicate the presence of both apatite and amide peaks within woven embryonic bone tissue (Fig. 5a) [see above image], which should not be susceptible to microbial contamination or other post-mortem artefacts. 2013 - Acta Histochemica: Soft sheets of fibrillar bone from a fossil of the supraorbital horn of the dinosaur Triceratops horridus by Department of Biology, Arkansas State University and Creation Research Society molecular biologist Dr. Kevin Anderson and the director of the California State Northridge electron microscope lab Mark Armitage. 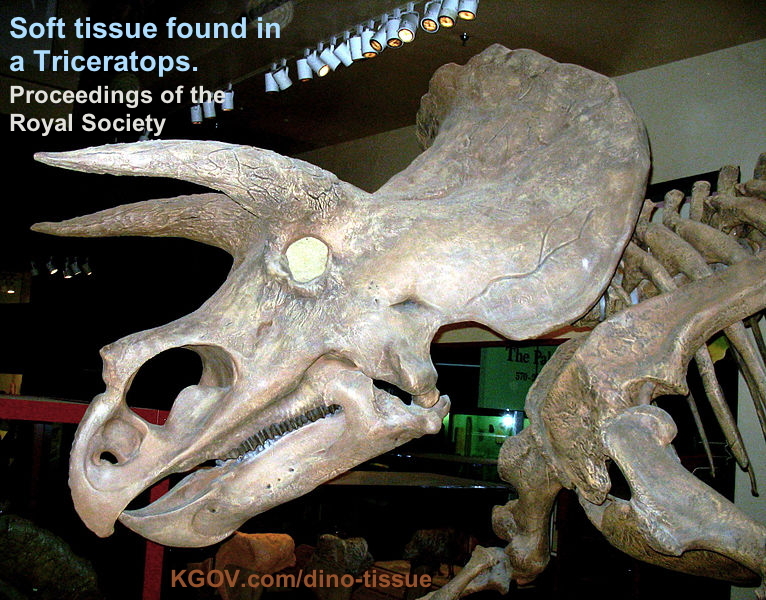 This is the first report of soft tissues from a Triceratops horn... Discovery of soft tissue in Triceratops horn provides additional insight into the nature of fossilization, and extends our understand-ing on the prevalence of preserved original dinosaur tissue. ... Kaye et al. (2008) maintain that the soft tissue from dinosaur fossils is polysaccharide from a microbial biofilm. ... What is not made clear by Kaye et al. (2008) is the mechanism by which microbes might replicate stellate and oblate osteocytes (Cadena and Schweitzer, 2012) in such well preserved and fine detail; including internal nucleus-like spheres, primary and sec- ondary filipodia, and cell to cell junctions as reported here. ... The most straightforward interpretation of the evidence is that intact cells and tissues have been preserved in this Triceratops fossil. * Another Creationist's Dinosaur Prediction Confirmed: The science prediction by Armitage in this video, uploaded to YouTube in December 2014, was confirmed in June 2015 when the journal Nature Communications reported that endogenous (original) soft tissue was found in six of eight dinosaur bones investigated, leading to the conclusion that "preservation is more common than previously thought." As co-author of one of the primary papers published documenting dinosaur soft tissue, Mark said about this finding: "My prediction is this. The fossil record is full of soft tissue. This is the norm, rather than the exception. That's my prediction." This was an independent record of the obvious implications of biblical creation, for at rsr.org/predictions, also in 2014, Real Science Radio published our own prediction: "Dinosaur soft tissue will be found not only in rare circumstances, but rather easily, i.e., when looked for." CONFIRMED! * iDINO and Anderson on RSR: See the CRS iDINO project at the Creation Research Society webpage, and hear Dr. Kevin Anderson on RSR discussing findings in molecular biology. * Armitage Compliments this RSR Dino Soft Tissue Page: Hear our interview with Mark Armitage on this Triceratops soft tissue discovery. 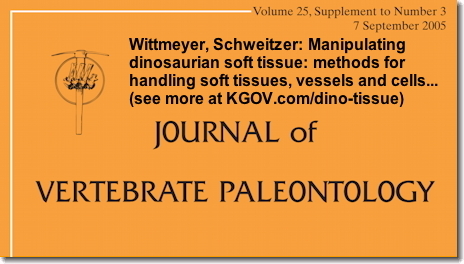 And Real Science Radio is thankful to Mark for complimented this very dino soft tissue page as the web's most complete catalog of peer-reviewed journal papers confirming the existence of original biological tissue from dinosaurs! The Sabellidites organic body is preserved without permineralization. Minerals have not replicated any part of the soft tissue and the carbonaceous material of the wall is primary, preserving the original layering of the wall, its texture, and fabrics. 2015 - Nature Communications: Fibres and cellular structures preserved in 75-million–year-old dinosaur specimens by Sergio Bertazzo, et al. [a non-Schweitzer group of twelve authors from Imperial College London]. Exceptionally preserved organic remains are known throughout the vertebrate fossil record... We examined samples from eight Cretaceous dinosaur bones using nano-analytical techniques; the bones are not exceptionally preserved... In one sample, we observe structures consistent with endogenous collagen... we identify amino-acid fragments typical of collagen... we observe structures consistent with putative erythrocyte remains that exhibit mass spectra similar to emu whole blood. ...we find that... preservation is more common than previously thought. ... Red blood cell size is known to correlate with metabolic rate in many vertebrate clades, including reptiles and birds. ...in this study, putative soft tissue (either erythrocyte-like structures, collagen-like, fibrous structures or amorphous carbon-rich structures (Supplementary Fig. 7)) was observed in six of our eight dinosaur specimens (Supplementary Table 1). Incredibly, none of the samples showed external indicators of exceptional preservation and this strongly suggests that the preservation of soft tissues and even proteins is a more common phenomenon than previously accepted. This paper CONFIRMED another creationist prediction! See top of this page, or check out rsr.org/predictions#dinos. 2015 Scientific Reports: Molecular composition and ultrastructure of Jurassic paravian feathers by Lindgren, et al. Feathers are amongst the most complex epidermal structures known... melanosome-like microbodies preserved in association with fossil plumage have been used to reconstruct original colour... However, these putative ancient melanosomes might alternatively represent microorganismal residues, a conflicting interpretation compounded by a lack of unambiguous chemical data. We therefore used sensitive molecular imaging, supported by multiple independent analytical tests, to demonstrate that the filamentous epidermal appendages in a new specimen of the Jurassic paravian Anchiornis comprise remnant eumelanosomes and fibril-like microstructures, preserved as endogenous eumelanin and authigenic calcium phosphate. These results... unequivocally determine that melanosomes can be preserved in fossil feathers. 2015 - Journal of Proteome Research: Mass Spectrometry and Antibody-Based Characterization of Blood Vessels from Brachylophosaurus canadensis by Timothy Cleland, Mary Schweitzer, et al. [a paper on dinosaur bones co-authored by researchers from medical schools, etc., such as Harvard Medical School, Dept. of Cancer Biology of the University of Texas, Beth Israel Deaconess Medical Center, Biomedical Research Institute of the Korea Institute, Dept. of Biological Sciences, North Carolina State University]. Two lines of evidence... First, peptide sequencing of Brachylophosaurus canadensis blood vessel extracts is consistent with peptides comprising extant archosaurian blood vessels and is not consistent with a bacterial, cellular slime mold, or fungal origin. Second, proteins identified by mass spectrometry can be localized to the tissues using antibodies specific to these proteins, validating their identity. Groundbreaking Terminology: This 2015 paper breaks new ground not only in the science but also in the vocabulary. About 20 times the construct "-like" appears in the journal excerpts on this very webpage, including for example from PLoS ONE in 2011, "vessel-like". However in this 2015 paper, the authors, although occasionally using caveats, drop the "-like" and come right out and state that they have "Blood Vessels from Brachylophosaurus". For example in their conclusion they write about their specimens as, "dinosaur vessels", that their research provides "robust support to the identification of these... blood vessels produced by the once living dinosaur", and that the "B. canadensis blood vessels" are "endogeneous and not a product of bacterial or fungal contamination." 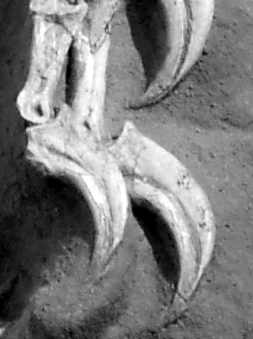 2016 - Proceedings of the Royal Society B: Microscopic and immunohistochemical analyses of the claw of the nesting dinosaur, Citipati osmolskae by Alison Moyer, Wenxia Zheng, and Mary Schweitzer all of the Department of Biological Sciences at North Carolina State University. ...as modern comparisons, we have shown that fossil claw sheath material retains microstructure consistent with keratinous tissues. Antiserum specific for sauropsid beta-keratins demonstrates positive binding to these fossil tissues, while all appropriate controls are negative. This study adds to the growing body of evidence demonstrating that beta-keratins are an ideal target for molecular palaeontological studies. - Even endogenous dinosaur soft tissue will have 14C (whenever tested for), arguing strongly against contamination. - Etc. We have more general science and dinosaur soft tissue predictions at rsr.org/predictions! - 100 million years of strata MISSING from the Grand Canyon layers! * Cross-Discipline Egyptologist/Paleontologist Work Needed: Real Science Radio is calling for comparative studies of dinosaur soft tissue with historically dated Egyptian mummies. Just as the advances in genetic science enabled forensic scientists to help police detectives solve many cold cases, so too, RSR now urges the paleontological community to incorporate the molecular analysis of Egyptian mummies into their own research. "For example," wrote G. Elliot Smith in In 1930 in the introduction to The Papyrus Ebers, "in a Predynastic cemetery in Upper Egypt I discovered in the stomachs of small children who had died nearly sixty centuries ago the remains of mice which had been skinned and eaten just before their death. (An account of the finding of this interesting material is given in my book, The Ancient Egyptians.)" And in that second reference, Smith, a knighted member of the Royal Society, wrote of extant Egyptian remains of "not the mere bones only, but also the skin and hair, the muscles and organs of the body; and even such delicate tissues as the nerves and brain, and most varvellous of all, the lens of the eye, are available for examination to-day." Further, as hadrosaur and T. rex DNA has been identified (but not [yet?] sequenced), so too, researchers have been recovering the DNA of Pharaohs. A cross-discipline research project would likely prove similar states of preservation of original biological material in Egyptian mummies as that in dinosaur remains. Today's Resource: Have you browsed through our Science Department in the KGOV Store? If you found this special RSR page interesting, then Bob Enyart and Fred Williams recommend for you the fascinating videos by Dr. Carl Werner titled Living Fossils and its prequel Evolution, the Grand Experiment! Just click to order or you can call us at at 1-800-8Enyart. * Example of Media Underreporting: In July 2013, with Montana's Museum of the Rockies and Jack Horner hosting an international symposium on paleohistography (microscopic study of cell anatomy in "paleo" fossils) with 60 scientists in attendance regarding arguably the greatest discoveries ever made in paleontology, the most excitement NBC of Montana musters is something that could have been written in 1859: "...after they gather the bones, the next step is to piece them together like a puzzle." In the reporter's defense, the discovery of DST is still an open wound for the evolution community. So, even given his flair for media, undoubtedly Dr. Horner played down this conference to journalists. In the scientific community, paleohistographers will continue for some time yet to be the black sheep. - allegedly 400 million year old fish amino acids (Journal of Applied Genetics 2003). * DinosaurSoftTissue.com Supplementary Material: Scientists publishing in this field have thanked Real Science Radio for assembling on this single webpage the world's most comprehensive catalog of peer-reviewed journal papers documenting the existence of dinosaur soft tissue. To supplement the above chronology and based on the original list from Brian Thomas and the Institute for Creation Research, see the first two items below for dozens of additional publications documenting the existence of extensive dinosaur-layer and deeper original biological material! - RSR's first dino soft tissue program aired in August 2006.